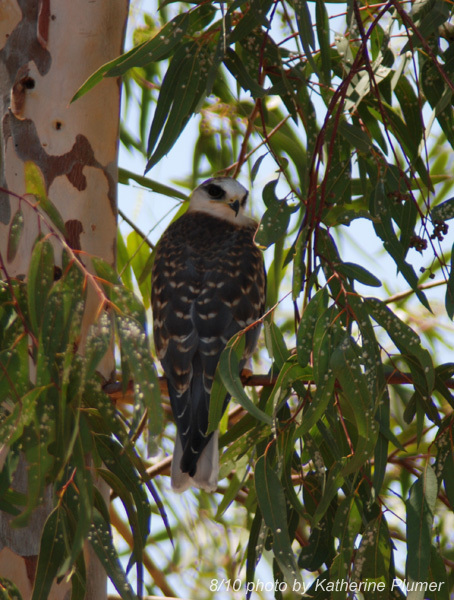 There is a pair of White-tailed Kites nesting along the creek. I think they may be working on the second brood? I've seen some around that I can ID as juvenile, and yet there is still a bird sitting tight on the nest. I like them. 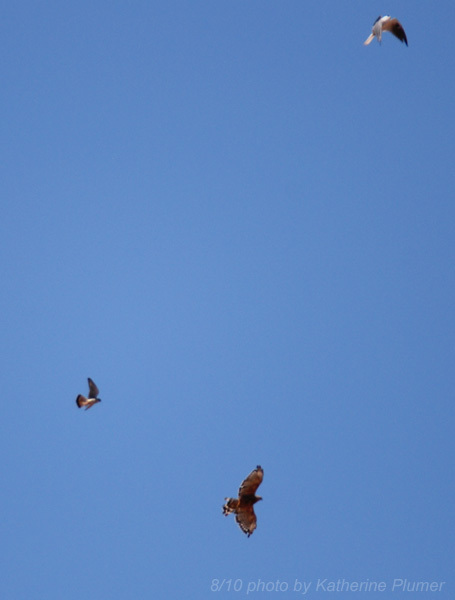 A Kestrel, a Red-shouldered Hawk (heavily molting!) and a White-tailed Kite all in the same pic! I'm glad all those raptor things are at your place and not hanging around my pigeons. We have lots of buzzards, though. Looks like there were 4 babies this year along the river. You can tell the babies when they're soaring together because the babies have to flap their wings pretty often. Well, and their wings are still a bit shorter.